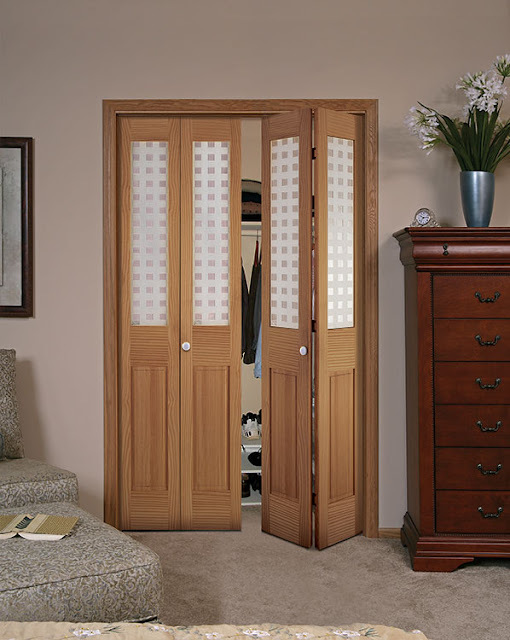 Check out our Clear Lite doors! Even if you don't need to buy or replace your front entryway door, don't forget that we have a collection of clear lite doors! These are perfect for things like side or back doors, or doors leading in/out of the garage! Available in one-lite, or internal grilles between glass (GBG), or even internal mini-blinds! Take a look at our catalog here, pages 47-49, to see our selection! Shop online anytime here at Home Depot. Can't find it online? Special Order it at your local Home Depot. Just go in and see a Millwork (door) department associate. Do you like the look of a wood door, but worried about the upkeep? 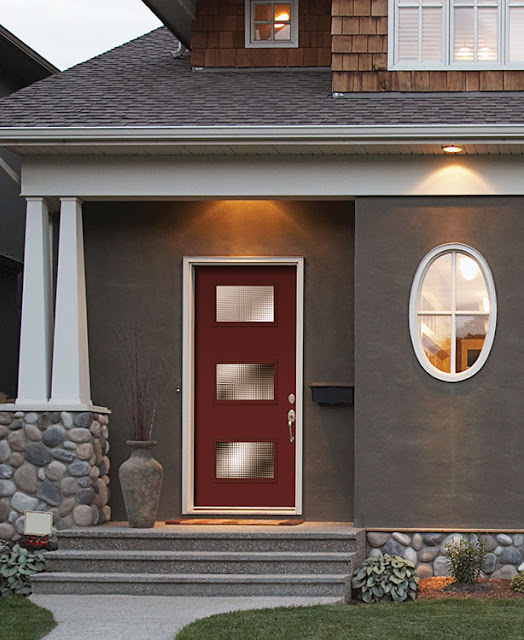 A fiberglass door is a great alternative. Not only are fiberglass doors available in beautiful finishes with authentic wood grain, and multiple styles, they don't warp as wood doors do in some climates. They're dent, rot and rust resistant as well. 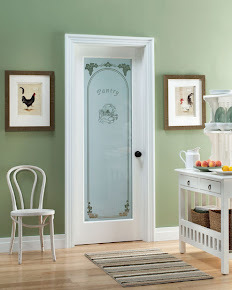 Our fiberglass doors are also available with a wide variety of gorgeous decorative hand crafted glass designs! 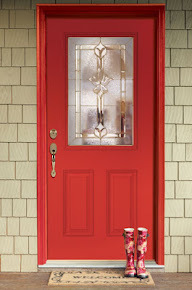 So, if you're looking for a new door, check out our fiberglass doors. Feather River Doors offer fiberglass exterior doors and patio doors at The Home Depot. Interior Vanity™ (2-sided mirror) door! Featuring a full length mirror on BOTH sides of the door.... This door is great for helping to create the illusion of more space, or handy for a room that needs a mirror but doesn't have the wall space! This door is perfect for closets, dressing rooms, bedrooms or bathrooms. Most sizes are available in any of our 7 wood finishes, or Primed MDF. Bi-fold doors provide greater flexibility and access to areas where hinged doors become impractical for lack of space, or an area with a sliding door that may only provide limited access to the opening. Bi-folds are great for closets, utility closets, pantries, the laundry room or room dividers. Remember, this Sunday is Mother's Day! Don't forget to treat and/or call Mom :) Enjoy some of our beautiful, more "floral" glass designs! This geometric design is sure to sparkle and shine in just about any room. Featuring glue chip beveled glass, clear beveled glass, granite glass, and fluted glass. Available with Patina or Zinc caming.